The other day my friends and I were having a discussion on our beauty philosophies. We talked about what treatments and products we felt were worth the splurge versus which ones we’d rather save our money on. I couldn’t believe our difference in opinions. This conversation got me curious about what other women think is important enough to splurge on. Here’s my list that covers hair, skincare, makeup, grooming, and extras like self-tanning, and supplements. I’d love to hear your thoughts on what you feel is splurge-worthy, and any tips you have to saving money when it comes to your beauty regime. Luckily, living in Los Angeles there is no shortage of famous salons, but haircuts can be pricey ($80 dollars and up). Years ago I learned how essential it is to choose the right stylist. While it feels satisfying to score a deal and save your money, when it comes to your hair, skimping isn’t necessarily a good thing. There are a number of elements I take into consideration before determining who’s going to cut my my hair: asking friends for recommendations, checking Instagram, reading Yelp reviews, and doing a quick Google search. These factors contribute to a feeling of confidence so that when I walk out the door, I know I'm going to love my fresh cut. Over the years I’ve had some pretty awful hair experiences. Some I created myself (attempting to lighten my hair with a bleaching spray I found at a drugstore), and one that happened at a salon (leaving the foils on too long, which created massive amounts of breakage). 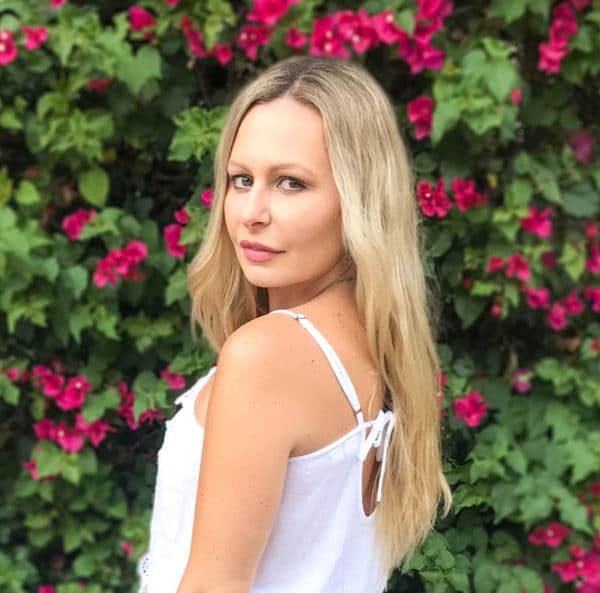 These experiences lead me to a new look; shoulder length hair and letting my natural roots grow in—luckily ombre had just become a trending style. When it came to choosing a new colorist, I made a consultation so I could sit down and talk about my goals, expectations, and concerns. I brought in photos of different colors I liked and asked how many sessions it would take to get there (with minimal damage). Price is a factor, but I’m willing to give up splurging on a pair of designer jeans to have a positive hair experience. My main concerns are being protected against breakage, maintaining my ashy blonde, and avoiding the warm brassy tones that arise when the intensity starts to fade. A few years ago I was introduced to the Kevin Murphy haircare line. There’s a plethora of products to choose from and they’re all paraben-free, sulphate-free, and cruelty-free. A bit on the pricey side ($40-$50ish each), but the difference they make is nothing short of amazing. After my first use, I was sold. 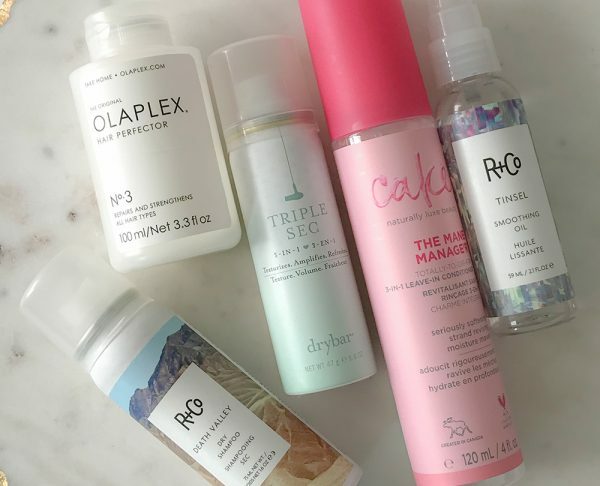 My favorites are Repair-Me Wash—a shampoo that helps restore damaged and brittle hair, while also helping to prevent future breakage, Repair-Me Rinse—a silky conditioner that aids in improving over-processed hair, and Blonde Angel Wash—a purple shampoo I use once a week that removes warm shades and brightens my color as if I just left the salon. I use OlaPlex No.3 Hair Perfector about twice a week which helps to reduce breakage, strengthen hair and enhance the look and texture. Once I’m in the shower I’ll dampen my hair, apply it from roots to ends, and let it sit for about 15-20 minutes. I’ll then rinse it out and shampoo/condition as usual. For $28 dollars this extra step is so worth it. I’ve also gotten accustomed to applying a deep conditioning mask once a week. I look for ones that are made with natural ingredients like avocado, and coconut oil. Right now I’m using Hask Orchid & White Truffle Extreme Moisture Deep Conditioner. This little packet costs $2 dollars and leaves my hair sleek and shiny. I‘m always amazed when a woman can get a blowout once a week and manage to not wash her hair until her following appointment. For me, that’s impossible because I workout every other day. I’ll never be one of those people that can sweat in the gym, spray some dry shampoo on my roots, and get on with my day—I have to wash my hair as soon as I’m done with my gym session. When it comes to styling it I try to switch it up. Sometimes I’ll do a blowout, but I’m more apt to apply sprays and serums and let it air dry to highlight my natural waves. I love the look when I curl my hair, but I try to keep the use of hot tools to a minimum. I’m always trying out new products, so when I discover something I love, I’ll end up using it for awhile. The stuff I use comes from a variety of places, like Revolve and Ulta, to Walgreens and Rite Aid, and they each cost under $35 dollars. Recently I became a fan of Cake Beauty which makes reasonably priced ($8 dollars-ish) vegan and cruelty-free hair and skin products. They smell delicious and make my hair look amazing and healthy. My day begins and ends with skincare. After I wake up I do my morning ritual of cleansing, and applying serums and creams. Right before bed I’ll remove any traces of makeup and load up on serums so they’ll seep into my skin while I’m asleep. The products I use vary, from high-end like La Mer, The Eye Concentrate, to inexpensive drugstore finds like Cetaphil Moisturizing Lotion. 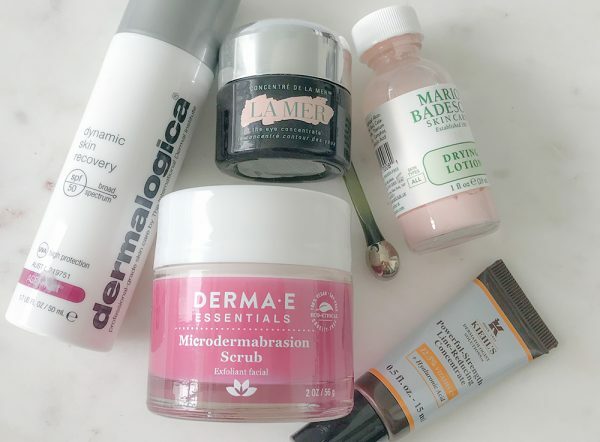 Recently I wrote about the various steps I take to prevent my skin from aging. (You can read my DIY guides on chemical peels, LED light therapy, and derma-rolling.) If I were to have these treatments done at a spa, it would cost upwards of a thousand dollars or more. By talking to dermatologists and doing research, I’ve learned effective ways to improve my skin tone at home, and save money at the same time. I’ll also try to do an at home facial once a week where I’ll apply a mask and use my go-to microdermabrasion scrub. The way that I purchase makeup changes based on the season, but one thing stays the same and that is the quality. 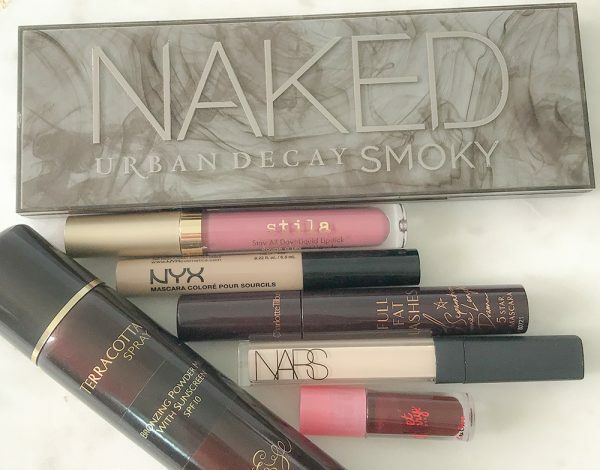 Now, that we’re heading into summer I’ll swap out my darker shades for brighter tones, and pick up waterproof products for when I’m at the beach or by the pool. 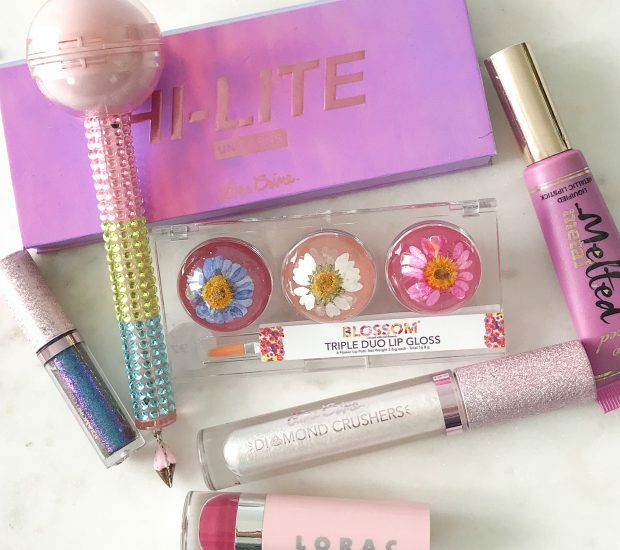 When I invest in makeup I look for high-quality brands and I tend to splurge. I seek out companies that use ingredients that will be beneficial for my skin and last throughout the day. As a teen I experimented with self-tanners; everything from St. Tropez to drugstore brands. Some worked better than others, and some created a mess where I would scrub my skin with lemon juice and baking soda to try and eliminate the streaks. 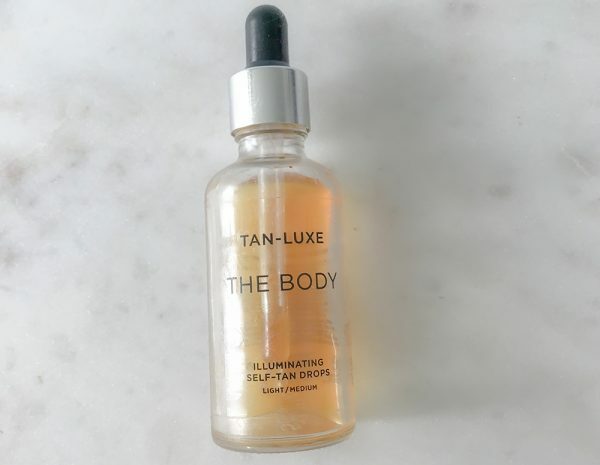 About two years ago I was introduced to Tan Luxe drops. What I love about this one is that you can control the amount of tan you want, and gradually build it up. There’s no scent and it doesn’t come off on your clothes. The end result is a natural tan that looks like I just got back from vacation. This saves me a lot of money since spray tans in Los Angeles start around $50 dollars and go up from there. Unfortunately I grew up when super-thin eyebrows were a thing and I fully embraced the trend. Years later I’m still trying to reverse the harm that was caused by overly waxing. With the help of serums and castor oil my brows are finally filling in. Because I’m trying to get them to grow, I’ll pluck the strands that crop up between my brows and I’ll cover any stray hairs on my arches with a thick concealer. Once I‘m satisfied with how they look, my plan is to head to a brow bar and get them shaped via threading. For the upkeep, I’ll tweeze every few days. Over the years I’ve tried different hair removal kits and none have worked as well as Bliss Spa’s Poetic Waxing Hair Removal Kit. I’m a huge fan of Bliss and love how their products are sold at a variety of places like Ulta, CVS and Target. I save money by doing it myself, and get to do it in the comfort of my home. Occasionally I’ll treat myself by going to Bliss Hollywood for a deep tissue massage, or if I’m super busy I’ll have a masseuse come to my home via The Soothe app. However, for the most part I use a hand-held vibrating massager that breaks up knots and releases trigger points. Other things I do that help (and feel good) are using a textured foam roller, asking Billy for a shoulder massage and stretching every morning, and before and after workouts. I used to go into a drugstore and stock up on supplements and vitamins, but then I heard how retailers were selling products that were actually fake and contained harmful ingredients. Since then I’ve been a lot more careful about the companies I purchase from. I’m a huge fan of HUM Nutrition and love their Daily Cleanse Supplement, and Glow Sweet Glow Gummies. I have a low level of Vitamin D so taking Here Comes the Sun helps with that. Before my workouts I’ll make an energy boosting drink with Tahitian Vanilla and Berry Green Superfood Powder—this helps me to power through my gym session. Something I struggle with regularly is chronic sinusitis. I haven’t found a “cure”, but taking Bromelain with Quercetin helps keep inflammation down. Other supplements I pick up are Paidu Detox Adaptogenic, Perform Essential Daily, Omega 3, and a daily probiotic. Most of these are on the pricey side but they’re coming from brands I fully trust and I know what I’m getting is the real deal.